Punters, how do we turn our mild A-League curry into a wicked football vindaloo? For starters, reducing the table’s top six to a concise top four would be a brave move. This increases pressure on the teams in the middle of the ladder. It also equates to a rise in interest from curious fans, and the awakened media, who thrive on drama. The A-League, I reckon, requires back page sporting status. Not a tidbit near the classifieds. Imagine the top four did happen this season. Do you believe crowd numbers would rise? 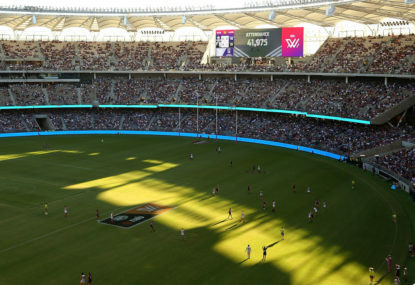 Ask the paltry 5,000 odd spectators who collectively yawned at the Melbourne City match last week. For the finals, a reduction of teams is necessary. 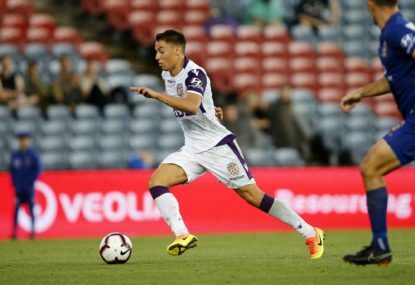 Imagine this year, for example, the focus wouldn’t be on Perth Glory advancing beyond Sydney FC on the ladder, but rather the battle for Wellington’s fourth spot. As the Phoenix and Adelaide City are both on 37 points, the added significance of goal difference is heightened. Now we’re really getting into the nuts and bolts of attack and defence. Come on, let’s give football commentators something more to talk about, instead of the SCG’s patchwork pitch. Another positive development in the closing stages of the competition, I propose, could be qualifying for the FFA Cup. Suddenly the lower squads would have something prestigious to play for. 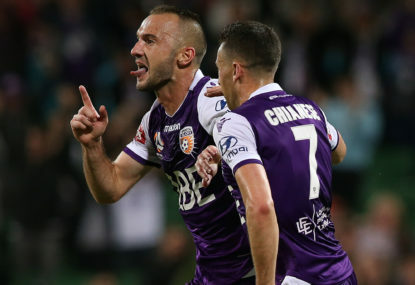 This would benefit the Central Coast Mariners and Brisbane Roar, as crowds would reluctantly return for one last hurrah. Conversely, more successful coaches would have to decide whether or not to rest players before the finals. Managers such as Tony Popovic and Steve Corcia would be torn between competing for conflicting silverware. Decisions, decisions. 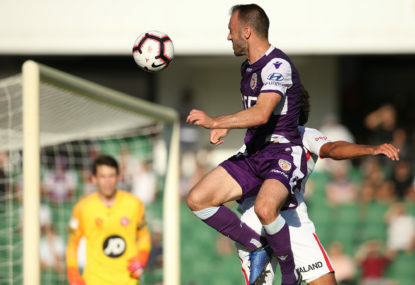 The final A-League revision borrows heavily from rugby union, and sees bonus points being awarded to an attacking team recording plentiful goals. If a club scores forty goals or above, such as the Western Sydney Wanderers already have, then it’s reasonable to push that team higher up on the table. These suggestions might be odd, even controversial, but it’s an inclusive idea that would breathe life into the championship at the end of the season. 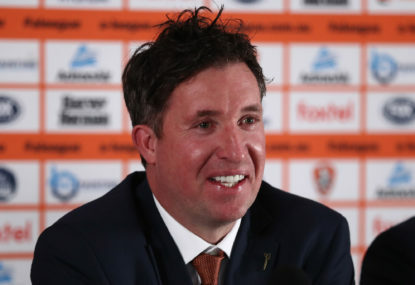 The best that can be said about Brisbane Roar’s season is that it’s over, and in truth the finals can’t come quickly enough for the sake of the whole competition.